The word churchwarden is similar to the presbyter. 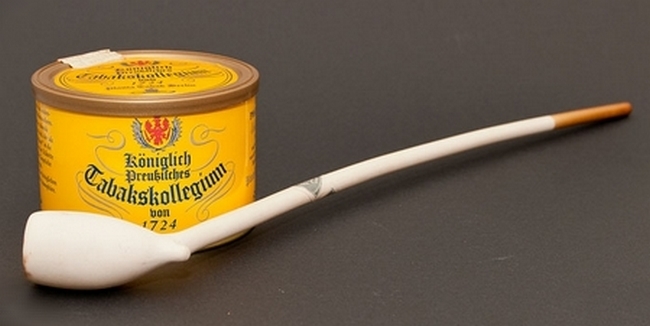 Churchwardens belong to the earliest forms of pipes and they are still very popular today. The first long-stem, Elizabethan [Elizabeth I (1533-1603) reigned from 1558] pipes were made of clay, their bowls were thin, so they looked very graceful. These pipes were popular among the upper class, the lower class smoked pipes with shorter stem, and they snapped off the end of the stem to separate themselves. 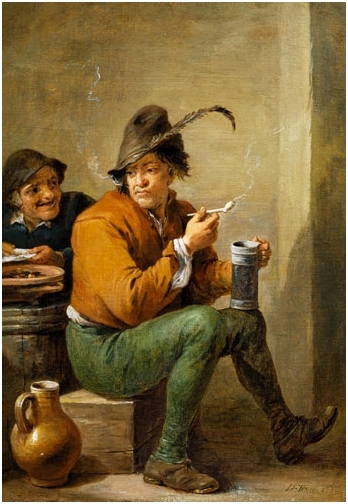 During the 16th and 17th centuries smoking was popular among women too. Madame de Pompadour (1721-1764), the mistress of Louis XV (1710-1774) was a passionate smoker. The Dutch took over Churchwarden pipes but redesigned them a little bit: they enlarged the bowl and lengthened the stem. They called this new version Alderman. It became popular during the reign of William II (1626-1650), and then under William III (1650-1702). The Alderman was white, graceful and very fragile. The English liked Alderman pipes but they changed it by adding a curve to the stem what was called the ’Yard of Clay’. 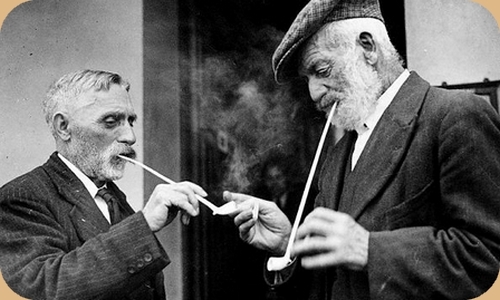 Churchwarden pipes became really current in the 1700s and 1800s, when smoking was allowed in churches. Presbyters put their pipe-stem out of the church windows. The aim of the long stem was to allow the smoker to rest his hand and the bowl on the back of church pews. The little knob on the bottom of the bowl prevented the burning of the pews, and when it was necessary, smokers could put down their pipes. Later this little knob still remained on shorter pipes for aesthetic reasons. The smoke of Churchwarden pipes is especially cool, because it has to travel a long way from the stem to the mouthpiece. Another advantage of these pipes is that the long stem keeps the face of the smoker further away from the heat and the smoke. From the middle of the 1800s pipes were made from wood briar. Nowadays the bowl has several forms. 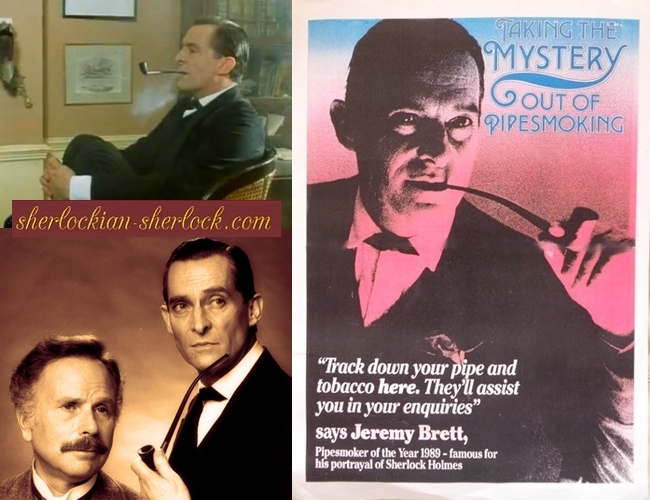 Jeremy Brett smoke a Peterson Dublin frequently. The British Pipesmokers’ Council established ’The Pipe Smokers of the Year’ award in 1964. It was handed over annually to famous smokers. Jeremy Brett was awarded in 1989. Peterson Sherlock Holmes tobacco: it is made according to a formula from 1880, using Indian Mysore Virginia and Brazilian Burley tobacco. It has a rich aroma, it is sweet and characteristic.
" Jeremy Brett's churchwarden pipe "